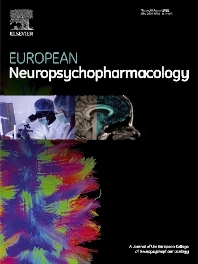 European Neuropsychopharmacology is the official publication of the European College of Neuropsychopharmacology (ECNP). In accordance with the mission of the College, the journal focuses on clinical and basic science contributions that advance our understanding of brain function and human behaviour and enable translation into improved treatments and enhanced public health impact in psychiatry. Recent years have been characterized by exciting advances in basic knowledge and available experimental techniques in neuroscience and genomics. However, clinical translation of these findings has not been as rapid. The journal aims to narrow this gap by promoting findings that are expected to have a major impact on both our understanding of the biological bases of mental disorders and the development and improvement of treatments, ideally paving the way for prevention and recovery. European Neuropsychopharmacology is the official journal of the European College of Neuropsychopharmacology (ECNP). An increasing number of readers access the journal online via ScienceDirect, one of the world's most advanced web delivery systems for scientific, technical and medical information.